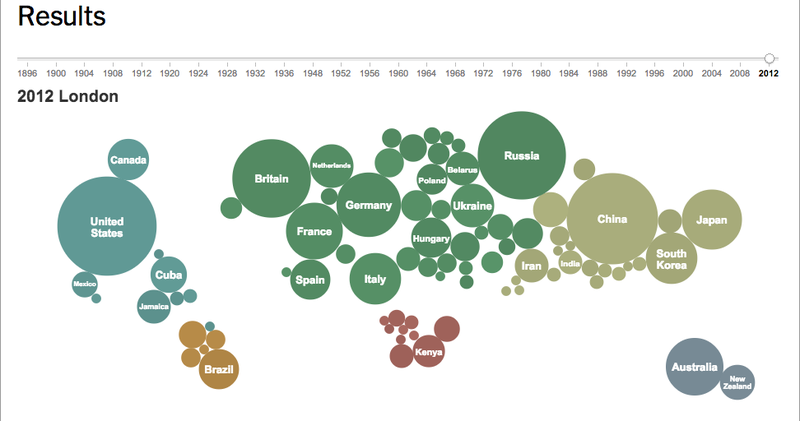 The New York Times visualization for results of the 2012 London Olympics (http://london2012.nytimes.com/results) provides an overview of the medals won by each country through a bubble graph. 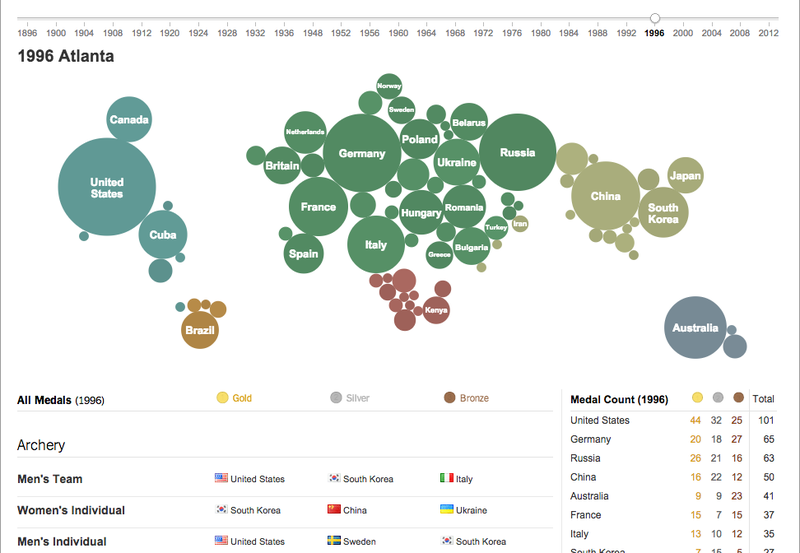 The size of the bubbles indicate number of medals, their color and position indicate the geographic location of the country. This visualization allows interactors to filter the timeline to look at the results for each Olympics from 1896. However, considering Shneiderman’s OZFD model, it does not provide any affordance to zoom on details for countries. 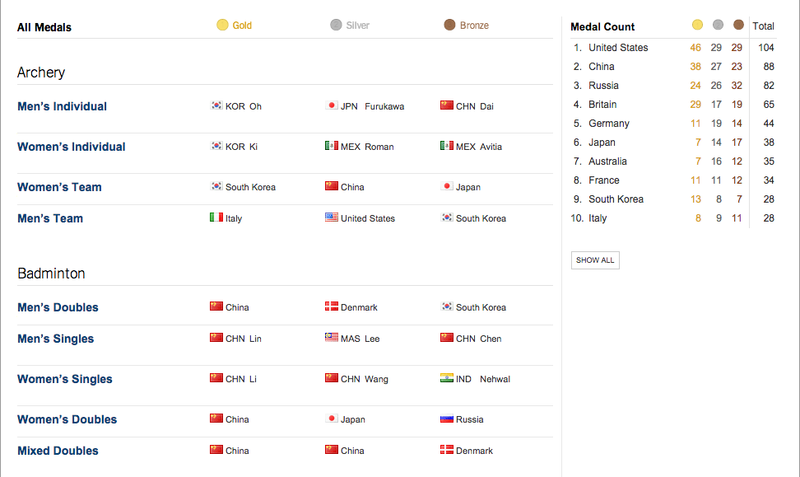 The relational database for the visualization consists of two tables: medals per country and medals for each event. The visualization allows the interactor to navigate to events of 2012 through hyperlinks and access details on demand, creating associative trails. However, these hyperlinks are unavailable for any other years, creating inconsistency. 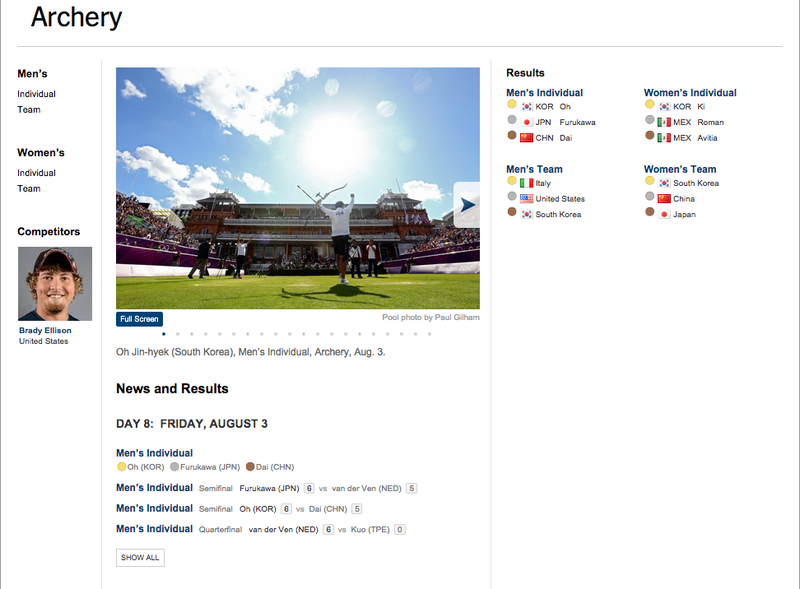 Each event is in the form of a structured document which includes photographs, articles, breakdown of matches. The interactor can access another level of granularity: specific individual or team events for both men and women, also in the form of structured documents. However, the lack of a navigation bar makes it difficult for the interactor to trace his path back to the overview.